With no mountains to speak of anda short power based TT, classics riders in a strong team look realistic contenders for the overall - this could be anybody's! There's only one winner eh Doc? Yeah the rider values were really tough to manage. 3 massive GC favourites and 3 of the best sprinters. Who to leave out and how to fill the team? Interesting race. Oh boy this purist team is hard to pick! Too hard to predict who's gonig to have a good race. I have three expensive picks, two medium, and three cheap. This should be an interesting comp, no two teams will be the same I reckon. Difficult to pick in both competitions. A pet hate of mine is team cars driving too close to their riders. The rule says 10m but the Quickstep car was about 2m behind their last rider at the finish today. The car being close behind gives a huge advantage. Sky with a very strong team only 5th, Bahrain Merida only 10th. EFE Cannondale a brilliant 7th considering their team and the early start. Lotto Soudal held their own, which was a surprise. Jumbo probably would have won if they had a later start. Worked out quite well for me, although I was hoping Velaso might get a lasp place. It was a toss up between Alaphilippe & Dumoulin but looks like Alaphilippe was a better choice now. Given the 30s difference between Alaphilippe & Roglic it looks very very difficult for Alaphilippe in GC. He needs to win all 3 hilly stages without Roglic getting and bonus seconds and then do the ITT of his life and beat Roglic. Oh yes, I think we'll see Alaphilippe attacking out of his mind! Happy with my Yates pick, although I didn't expect them to win so he was my only MS rider. Carapaz a disappointment and might think about someone else for tomorrow. Quickstep could even try and get Alaphilippe bonus seconds in the sprints, the last kilometres of both sprints are very technical and a late attack could catch other teams off guard, especially if QS sit up and bloack the road, which isn't unknown. Oh my. Went without Ala or Yates in Purist and opted for Sagan and and an in form Fuglsang instead....although o think o teied every combination and just ended up beaten. Really can't call it right in the purist game right now. Nailed the first stage in the Standard competition only one way to go from here! Yates, Fuglsang, van Marke, Wellens Bettiol and Hermans. Should be interesting really tries to get roglic in as well but the rest of the team looked so barren of potential points. Well done Steve. You’ve needed a big day. In other news....I’ve almost finished doing up my 80’s Carrera Epic Steelie today after I received my unused replacement like for like Shimano brakes from Italy this morning. Just got to pick up a Selle Italia turbo saddle tomorrow and job done....photo to follow. Really ! !...Went with Sagan in my purist team who revealed last night he's been sick for a week and confined to quarters last week...and lost 4 kilos. I'm having no luck at all in the purist game. Saving my transfers for later. With hindsight Alaphilippe would have been a better pick than Dumoulin but I will probably bring him in for stage4. Hopefully DePlus doesn't have to do too much work and then get dropped in the finale. I was considering Sagan but wasn't sure how his form would be, I then read he had been ill and so ruled him out completely. Even so he could do well in the 2 sprint stages. The finishes are very technical and being in the right position will count a lot. Was it known then?...I saw nothing online. I saw something online before the race but can't remember where. Must have been fairly obscure. I scan cyclingpub and such like for news but nothing was said. Doesn’t really matter because we’ll all have some bad luck...I just seem to have had a run if it. Not too bad for me today despite not having Alaphilippe, Bettiol doing a great job for my team :). Same team with Gaviria & Viviani for tomorrow. Saving transfers for later. Glad I swapped out Thomas for Poels before the race started, looks like Thomas might be carrying a bug. That would explain why the TeamSky TTT was so disappointing. Brought in Lutsenko and Yates but Lutsenko shot his bolt too early. Did use three transfers, but they were Yates, Bettiol and GVA. With Alaphippe too, not a bad day. You could have done worse :). Update coming now, tricky to find intermediate and KOM results. They are announced during the race on the Tirreno live feed - http://www.tirrenoadriatico.it/it/live/ . The feed is still there in the evening. 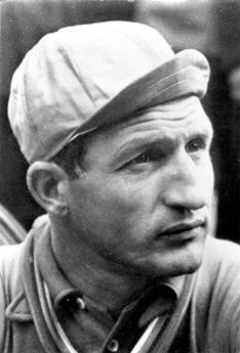 Although they did mix up Maestri & Bresciani on the firsr KoM.